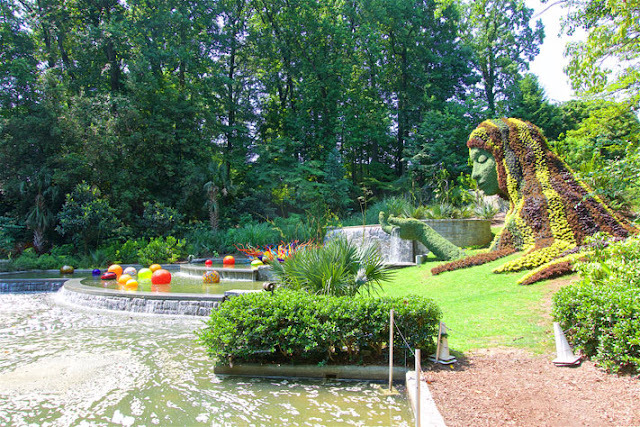 Last month we went to Atlanta for a weekend getaway. On the first day of our trip, Chicken Legs went to a Braves game with a friend, and I spend the afternoon at the spa. 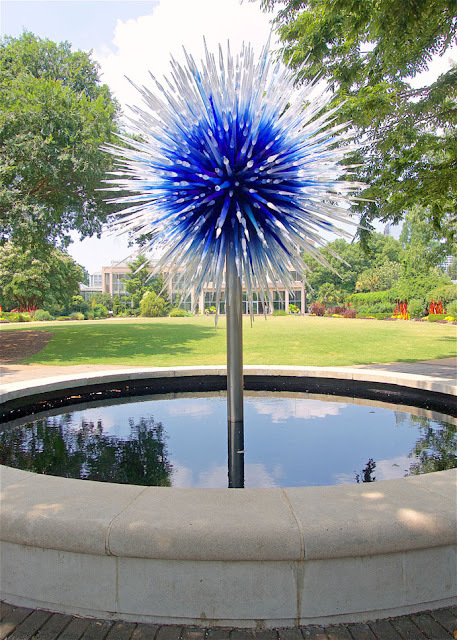 The next day we got up and headed over to the Botanical Gardens to see the Chihuly in the Garden exhibit. 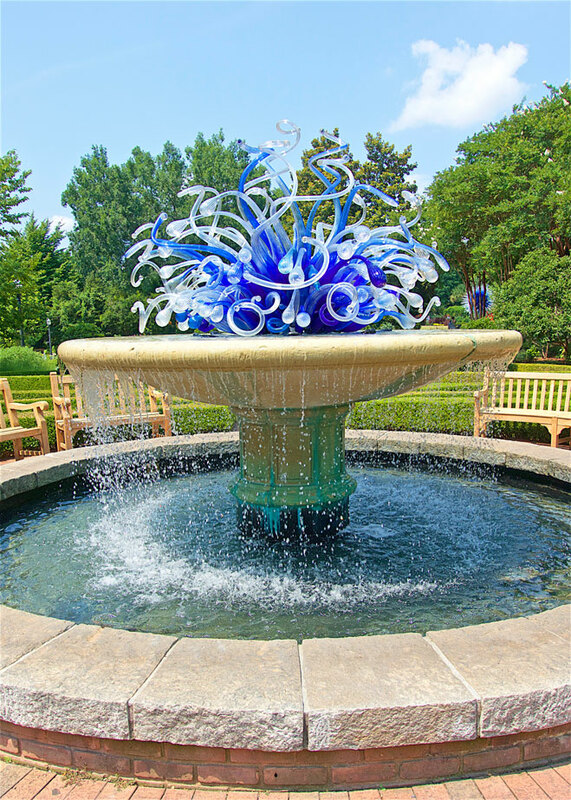 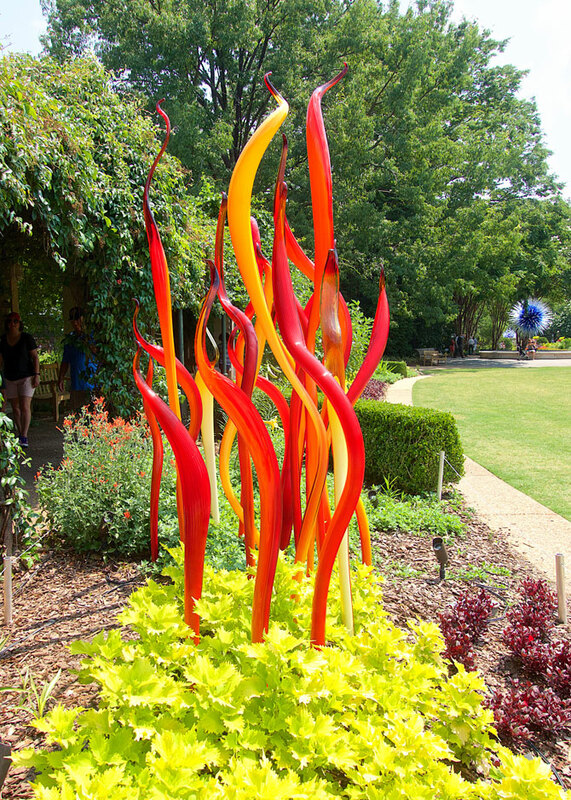 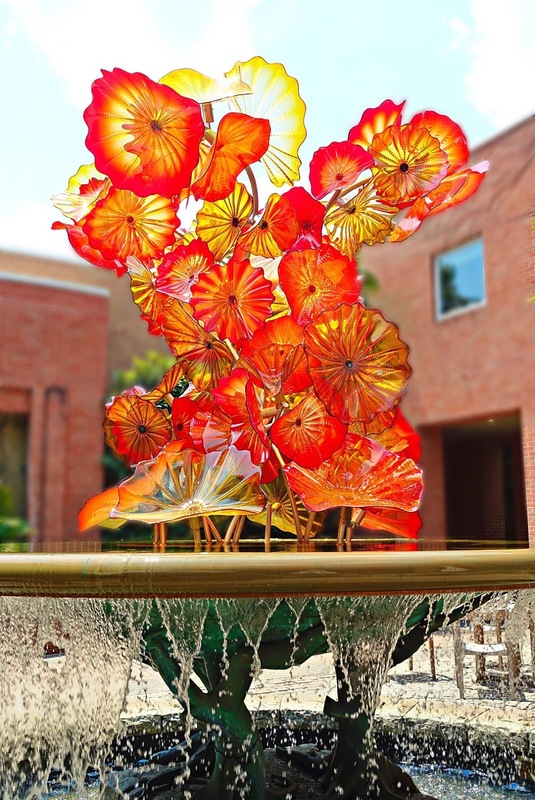 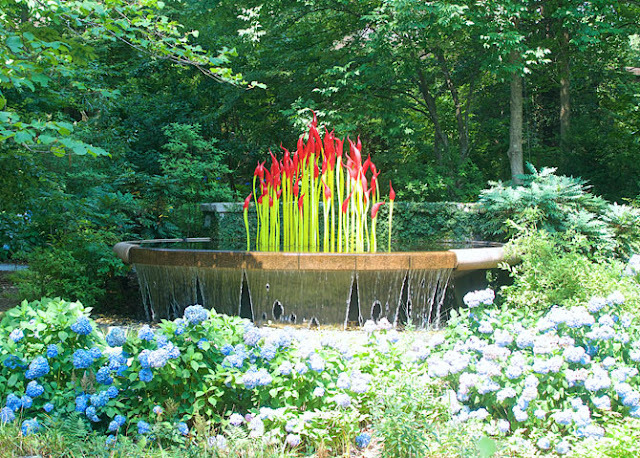 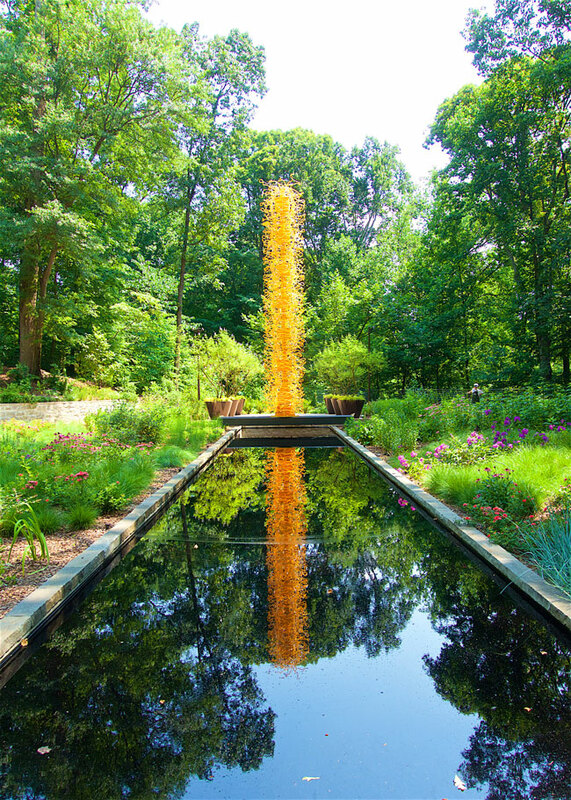 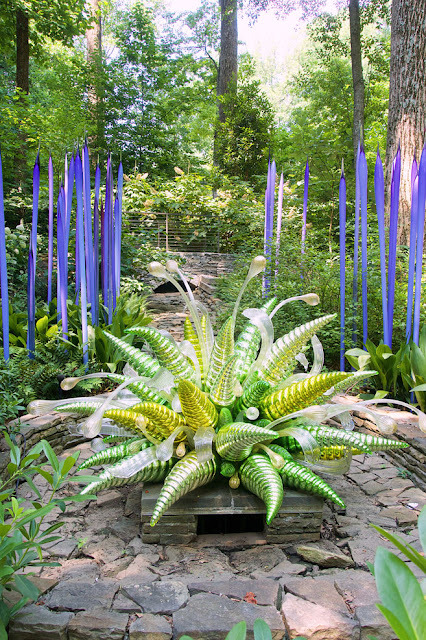 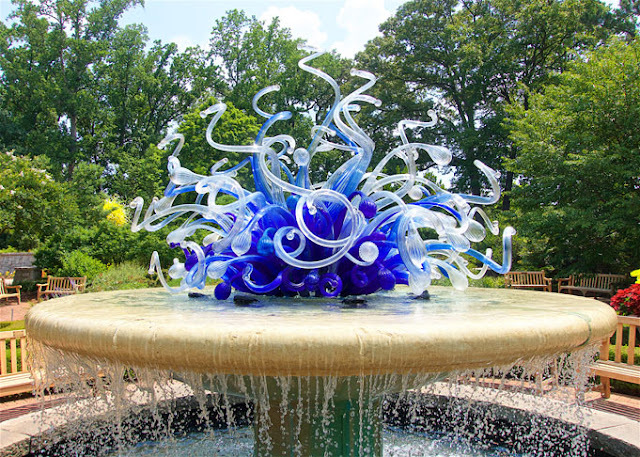 The Chihuly in the Garden exhibit runs from April 30 to October 30. There are 19 installation sites all around the gardens. 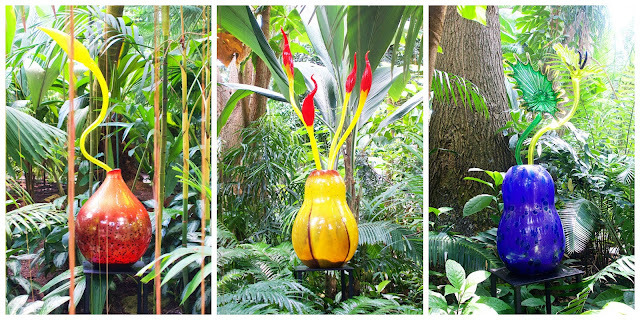 It is like a treasure hunt to find them all! 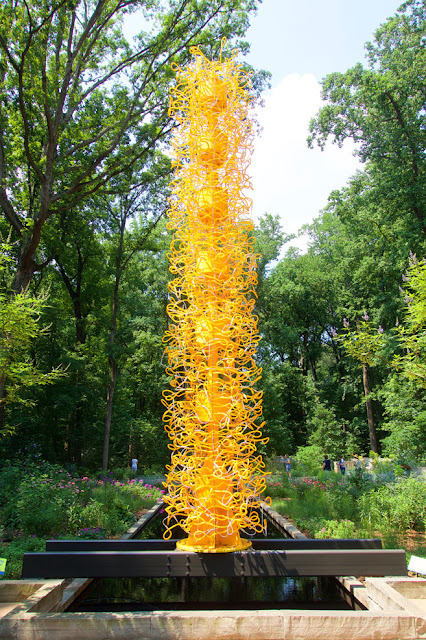 We are already have our tickets to go back again this fall. 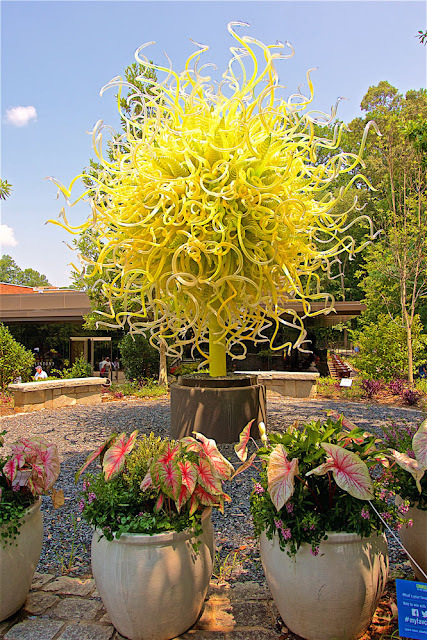 We are going to the Chihuly Nights - some of the art lights up at night! 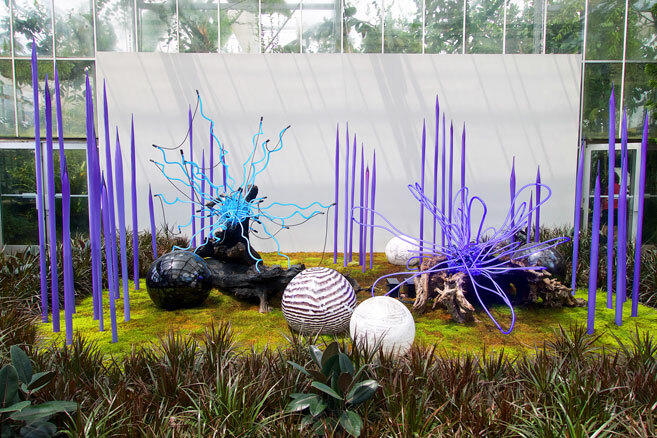 Chihuly Nights are held on Wednesday - Sunday from 6 to 10pm. 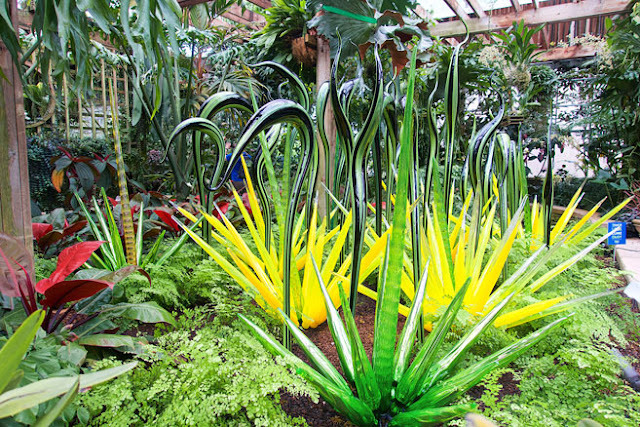 I love glass, and Chihuly glass is always fabulous! 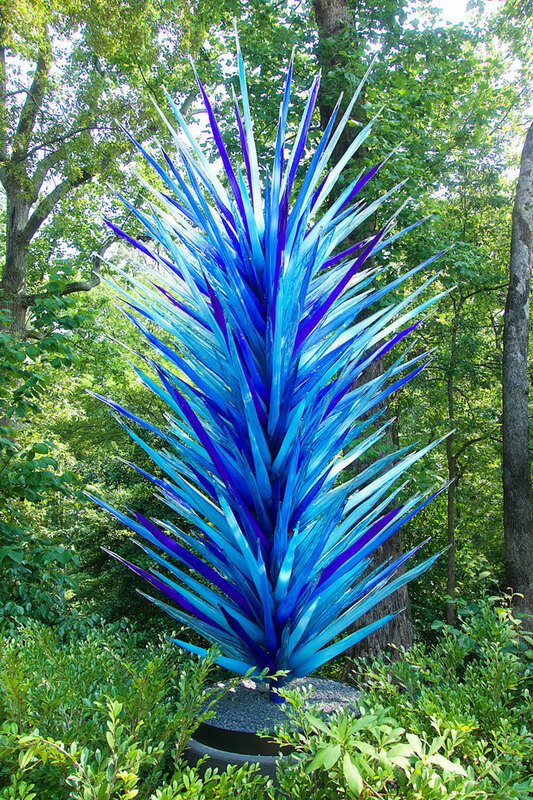 One wonders though, who has the job to dust or wash the glass sculptures? 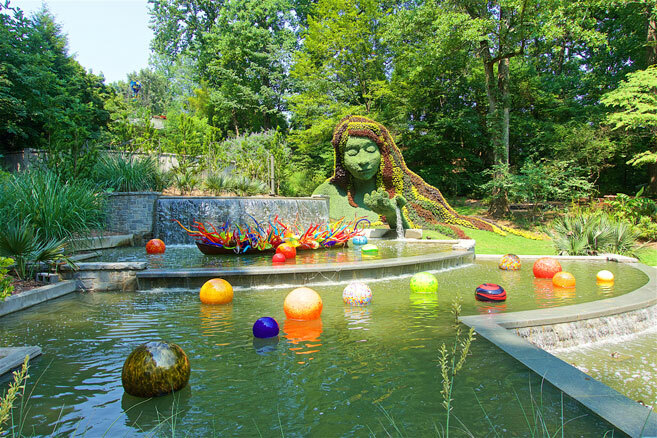 That is a good question! 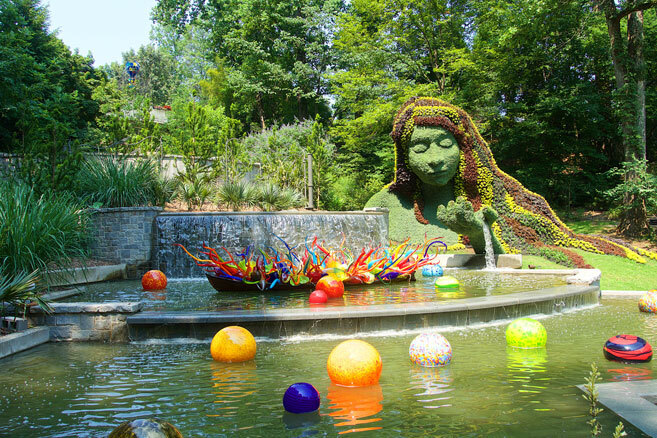 I never thought about it. 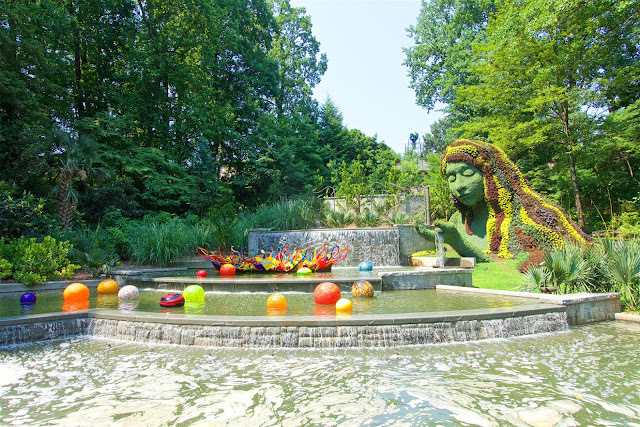 I wouldn't want to be the person that has to clean all the sculptures!! I saw his exhibit at the Phoenix Botanical Gardens several years ago. 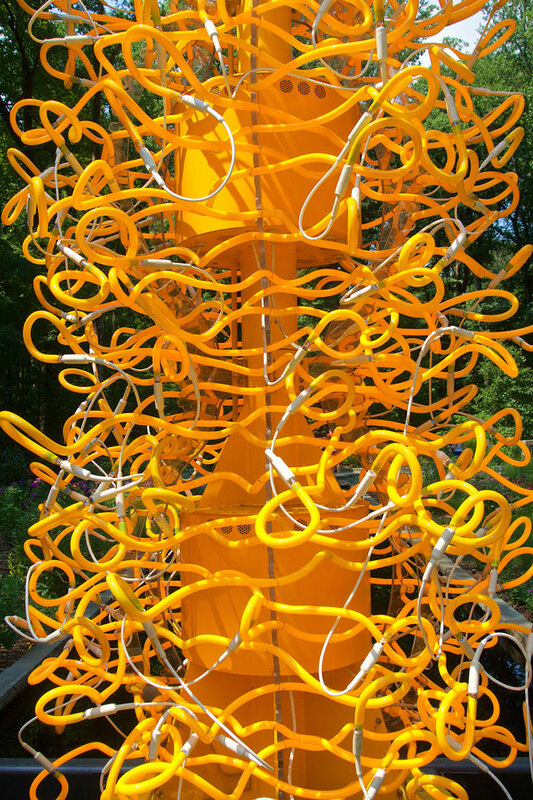 Also at the Smithsonian Renwick ( a chandelier) this past year. The pieces are spectacular. I wonder how the pieces are transported from place to place without being broken. 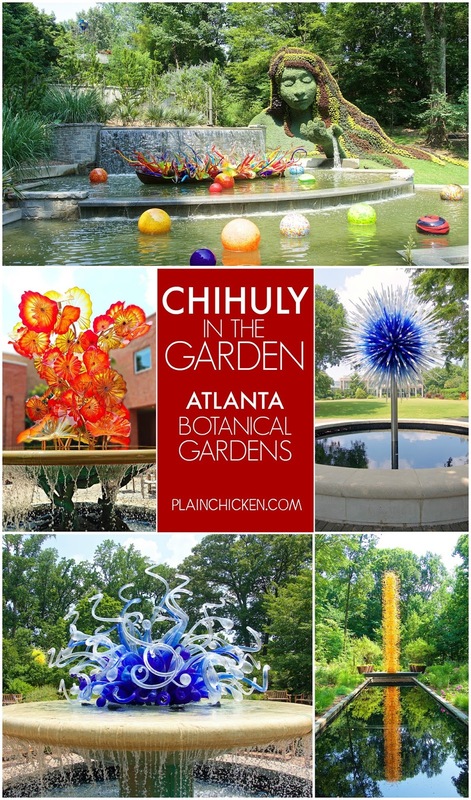 I live near Atlanta and adore the Botanical Gardens, the Chihuly exhibit is just breathtaking.